Named in the Gold Coast Titans 2016 Auckland Nines squad. Playing fullback for the Titans' Auckland Nines squad in 2015. 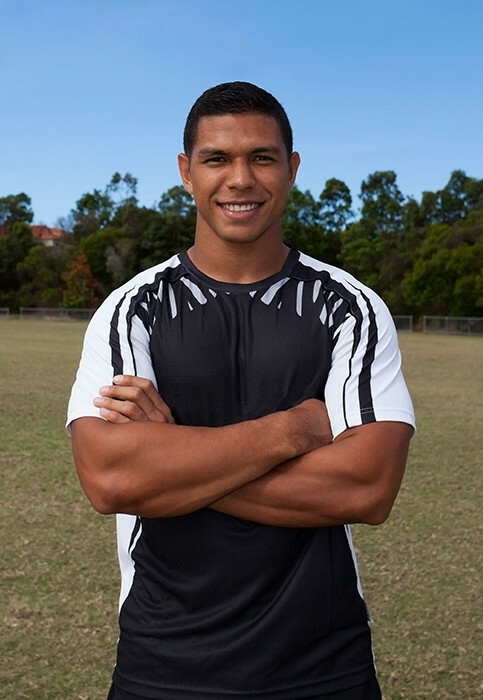 Selected for the Titans inaugural 2014 Auckland Nines squad. Played 20 games with his first taste at the fullback position. Named as part of the Papua New Guinea squad for the 2009 Pacific Cup. Named Papua New Guinea player of the year for 2009. "All of the products have their roles in assisting the body achieve optimal health. I love the YOR SuperGreens, YOR Berry Blast, YOR Fiber Plus and YOR Shake first thing in the morning because of how energized I feel straight away. This helps me to prepare the right meals in the morning for training that day rather than skipping meal prep and 'eating out'." Around 10 AM, in-between training sessions, I have a YOR Shake & two YOR Essential Vitamins. At lunch, with my meal, I’ll take a YOR Digest Ultra & YOR Essential Vitamins. The digest helps me digest food more efficiently (meaning I feel less bloated & less gassy) in comparison to times I didn't take them; I'm a big eater at lunch and dinner. I love YOR Repair Ultra because it limits my muscle soreness and helps me recover a lot faster after big training sessions. I always take four YOR Repair Ultra after every weight training session and two YOR Repair Ultra just before I jump into bed. The YOR Essential Vitamins are a must as well because of how much training I do. My immune system can be depleted a lot during the week because of the volume of training I do so this helps me make sure my vitamin intake is always high.